Probably many of you have never heard of this movie, but I came across it on Amazon after watching another quirky movie, My Sassy Girl (which I will do some lessons for that next). I did not know anything about this movie, so I was definitely surprised by different parts. I don’t want to spoil the movie for you, so just watch and learn. I will say, this movie definitely brought up some personal feelings regarding loved ones and suicide, depression…I have had people throughout my life who have suffered from depression and on a couple of occasions had people close to me at serious tipping points. It is very Scary, emotional stuff, so this movie had moments that definitely hit home for me. The opening scene of this movie was almost like a horror film with embalming fluid, a hearse, the run down funeral home. But with any movie you have the dark moments followed by the light, and thank heavens for that balance. The movie was a journey seeing the characters, their lives, their personal struggles and their need to break free from the world they were living in. You have Elvis, his mother had committed suicide on Christmas day, he lived with his father who had been running a funeral home, but with a recent accident was unable to, so Elvis has been taking over without anyone knowing. Elvis loves his father very much and there is a very sweet bond between these two characters. On a side note, Max Minghella (the actor that played Elvis) was truly drawn to this role because of the relationship between the father and son. Very sweet. 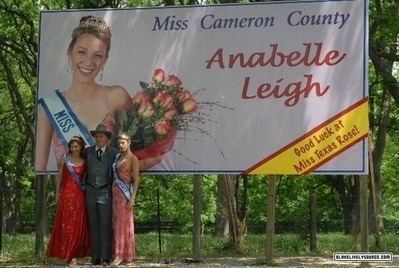 You have Annabelle, pageant queen, mother loves her but has driven Annabelle’s whole life to revolve around winning pageants, smiling, being pretty. Annabelle plays the part, but inside she is dying on a personal level. The life lessons of mortality–why? Why do I have this life? You could see this multiple times within this movie. You could see the characters faces wondering, why? I think that is a very typical life question that we all wonder at different points within our lives. I think this question often comes from the perspective we see, the outward existence, a heart that is seeking to understand certain things, the mystery, the confusion, the dark, the light. You can ask this question when you are struggling, but this question can also come up when you feel you don’t deserve all you have. It is an ongoing lesson. Cherished time is so important: We all seem to spin each day in the same direction and often find it hard to slow down and be present with those we love so dearly. Time is precious & this movie reminded me how each moment needs to be cherished. Elvis enjoyed reading every night to his father and their friendship and love was truly shared. I hope we all strive to have close relationships that we can hold and cherish always. See life as a gift filled with miracles: At one point in the movie Annabelle runs away from her glamorous life to find solitude in the questions, the mystery of life. She begins to see life as a gift. She noticed the sunsets, the starry nights, she planted a garden to believe miracles would want to grown, even in bad dirt. She gets determined to plant something & buys bags of seed, starts up the tractor that has not been used in a very long time, determined to believe in miracles. Charlie (Elvis’ dad) and Elvis don’t believe what she is doing. They think she is wasting her time. She does not tell either of them what she is planting. See life with a new perspective: Annabelle realizes that for every terrible tragedy that happens in the world, there is always something equally miraculous that grows from it. Can you believe that gift within your own life? Can you begin to see that when something tragic happens, something good from it will grow? Live this day: Annabelle is chased off the farm. She begins to think of her time at the funeral home—painting, tilling the fields, planting seeds, investing in other people and evaluates where she has been in her life and realized that she has not ever truly lived one day for herself. Do you ever feel like this? Feel like you are always on a rotating cycle of doing dishes, homework, the same job, the same cycle? Maybe you need a little thing to do today that is yours. Make a list of a few things you would like to do in the next month—it doesnt have to be big things. Begin with little things: Go on a walk, Read 15 minutes a day, listen to an audio book on your way to work, doodle something, learn about something on youtube…just begin to live this day doing something small that means something to you. Make it your own! Don’t focus on the negative: Elvis is stuck in depressing thoughts, wondering what happened to his mother, feeling overwhelmed trying to run the funeral home & take care of his dad, not being able to pursue his own dreams…Annabelle tells Elvis if he keeps thinking his depressing thoughts, then he will have a depressing life. How are your thoughts? What do you focus on in your life? When you talk out loud, what are you saying to others? How do you feel inside? You can feel if you are feeling negative or positive—it is pretty easy to tell. Be aware and focus on the good things within your life. Good question: Annabelle asked Elvis…If you could do one thing in the whole wide world, what would it be??? Ask yourself that question. Nothing is being held from you…what would you want to do?? The movie does have some depressing moments where the two main characters are apart, depressed, wishing to be free of this world, the misunderstandings, the media, the loneliness…until one last miracle shines through in the sweet ending.